Mr. Do!s Castle ColecoVision & Adam Game - Cartridge Only - EX Condition! ColecoVision Mr Dos Castle Coleco Cartridge and Instruction Book LQQK! 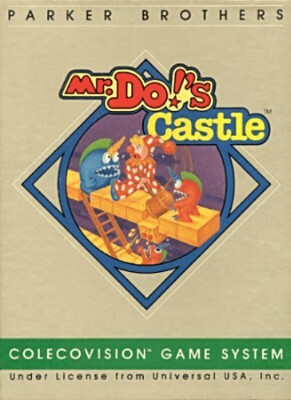 Mr. Do!s Castle ~ Parker Brothers (Colecovision, 1984) Cartridge ONLY ~ Tested!